The wellness industry is a rapidly growing sector as people become more interested in investing in their physical and mental health. A wide-ranging industry, spanning the fitness, tourism and corporate sectors, the market continues to expand. In the UK, it is estimated that the pilates and yoga studio industry alone is worth £834 million, supporting more than 4,000 business and employing nearly 16,000 people. An important pre-requisite for most wellness services is hot water. 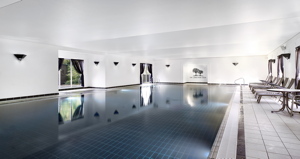 Shower facilities, beauty treatments, food preparation and cleaning, for example, can all put unprecedented pressure on a building’s water heating system. Fit for purpose: a healthy lifestyle demands more from water systems. Consider a hotel looking to ramp up its health credentials by offering a new spa with fitness and mind-body activities. Or an office development adding showers for employees who cycle to work or like a lunch time run. In both cases, building managers will need to review their current hot water requirements and look at upgrading their systems. Here’s some top tips for those looking to navigate this process effectively. Traditionally, water heaters were selected based on the demand of the building they would be installed in, with the flow rate calculated based on ‘demand units’, i.e. basins, showers, baths etc. However, with a lack of diversity in system specification many systems were oversized. After all, end users were unlikely to complain about having too much hot water, and energy efficiency was not as high on the agenda as it is today. The problem is that oversized systems have a higher capital outlay and if the demand for hot water is not there, it will cost the end user more in energy bills. That’s why sizing is so important in heating system specification. When assessing hot water requirements, it is important to establish not only number of demand points, outlet temperature and required flow rates. The basin capacity, length of the peak period and number of fills during this time should also be considered. These factors dictate the size and type of water heater best suited and some manufacturers, such as Andrews Water Heaters, offer helpful sizing calculation tools that can help. 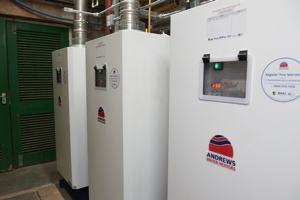 Commercial systems have historically employed a boiler, which generates space heating and heats a calorifier to produce hot water. Deciding to install a higher output boiler would naturally accommodate a higher demand for hot water, but with better insulation in modern buildings, and a rise in underfloor heating systems which work at lower temperatures, there is less demand for heat. Installing a separate, dedicated water heater to cater to the hot water demand generally provides lower running costs, energy consumption and carbon emissions because the hot water energy load can be more suitably matched to the water heater output. On top of this, since water is heated from a low mains temperature (at a supply temperature of around 10oC to 60oC), high levels of condensing can be achieved, contributing to further savings. A consequence of more hot water usage is increased energy bills, but designing the correct heating system for the building ensures that efficiency savings can be achieved and heating costs don’t quickly spiral out of control. The system must be able to handle the higher levels of water pressure it will be subjected to if it is supplying hot water to a building’s upper floors from the basement or lower floors. The water heater and its components – in particular the tank or cylinder – must be able to withstand the inlet water pressure required to deliver hot water safely to multiple storeys, especially in period buildings. In unvented systems, there are safety measures that limit the pressure and temperature of the cylinder. The first line of defence against limescale is to prevent its buildup in the first place, and Andrews Water Heaters recommends treating system water when its hardness reaches 150 parts per million, or 7-10 by the Clark Degrees scale. Various water treatment options are available. Building services managers in a wide range of sectors are currently facing the challenge of increased demand for hot water due to the wellness trends that are permeating society. It is essential that water heating systems are matched to the existing and future needs of the building. 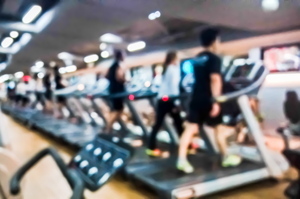 Ensuring the system is correctly designed, installed and maintained will deliver the performance and efficiency that is required as the boom in health and wellness continues apace.